As I lay in bed this morning, a man who had lost his dog called up and down the road outside. He passed, he called, he returned. At first I tried to block it out, annoyed. Then I tuned in. 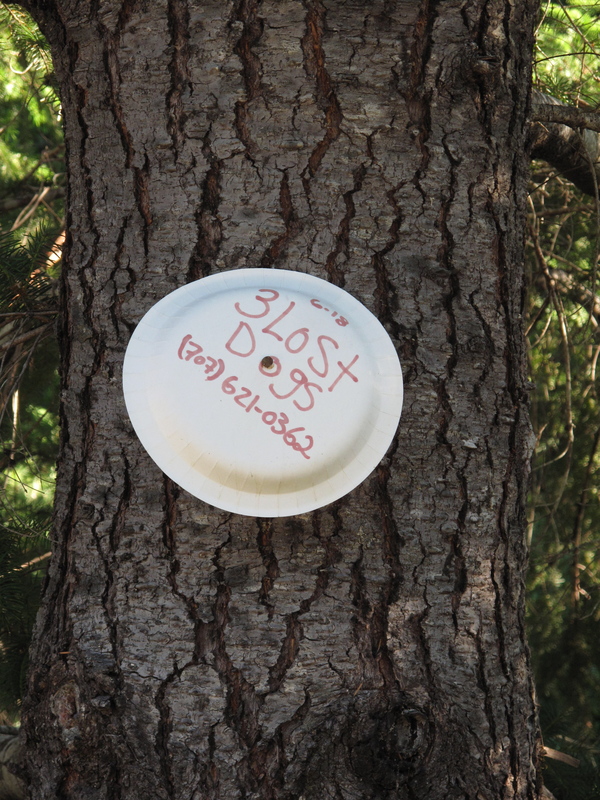 The dog’s name was Monster. “Monster!” called the man, anxiously, always on the same falling note. “Mooooon-Steeeer.” Then it occurred to me that maybe he had lost a monster. And then I thought, perhaps it’s not a loss at all, but a warning – of something seen and coming. “Monster!” called again and again to the sleeping street. And there I was, lying in bed, nothing if not potential monstermunch. I’m re-reading AS Byatt’s wonderful book Possession which in part takes place, through a long exchange of letters and poetry, in Victorian England. The Victorians liked monsters. They were fascinated by monster-myths, relating them, dissecting and re-telling them. They found small monsters all around, getting hold of microscopes and inspecting insects, dissecting them more literally. “A seething, striving horde/Of animacules lashing dragon-tails” (that’s in a glass of water). In Byatt’s novel the Victorians seem romantic, rational-magical, one scoop of each melting into each other. 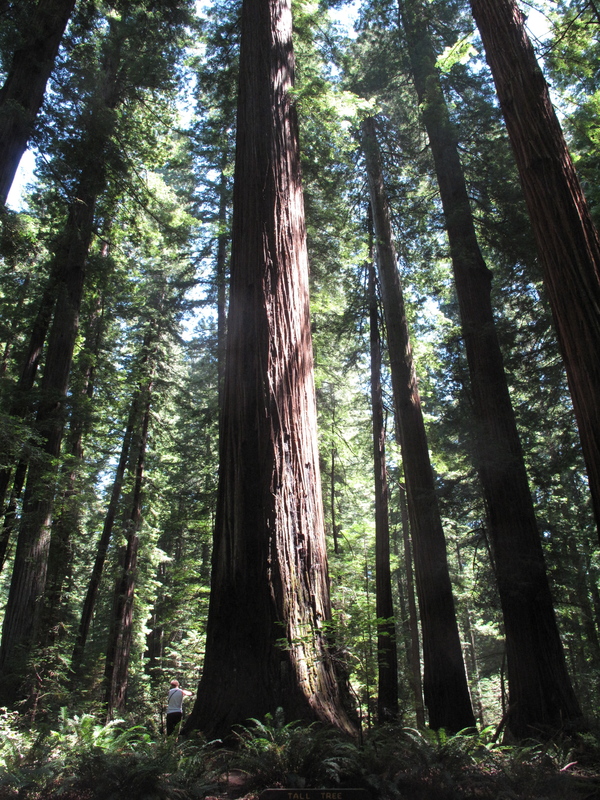 Last week, for the 4th July I went to Humbolt Redwoods State Park, 30 miles South of Eureka in Northern California. The giant trees can reach 100 meters in height – the length of a football pitch. 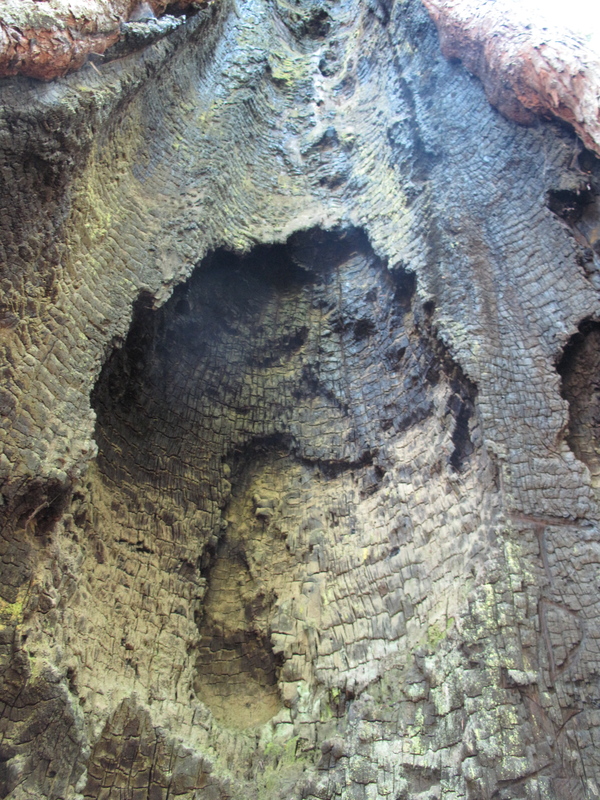 Some are hollow, and the bark of many isn’t red but black from fires; a scaly carbon skin. Walking between them it’s easy to imagine dragons sleeping somewhere close by; elves and orcs and things with wings that aren’t vultures or butterflies. And bears. We knew there were bears in the woods and especially the grassy places between, where they eat grass – apparently – and dig for grubs and ground bees, and come down to eat fruit from the trees left by the first homesteaders. We wanted to see bears – it became an obsession. 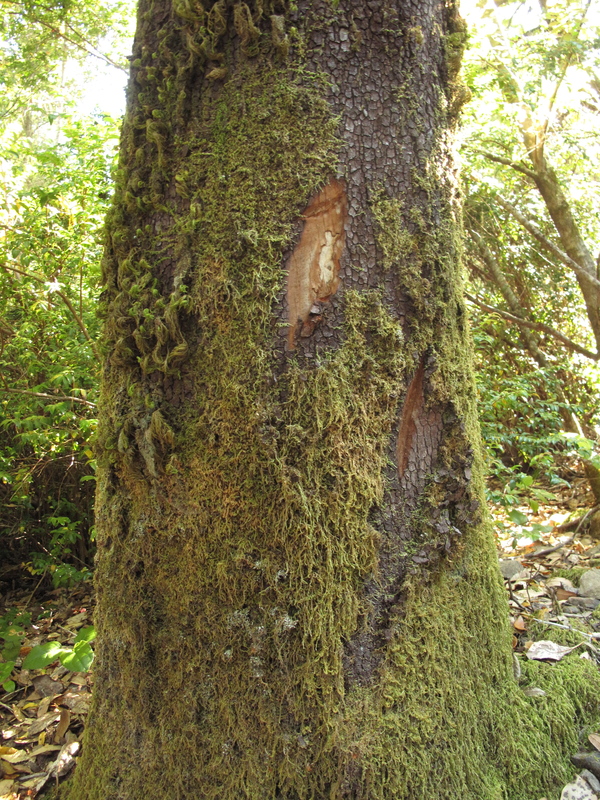 First we found what seemed to be claw marks in the moss covering a tree’s base. 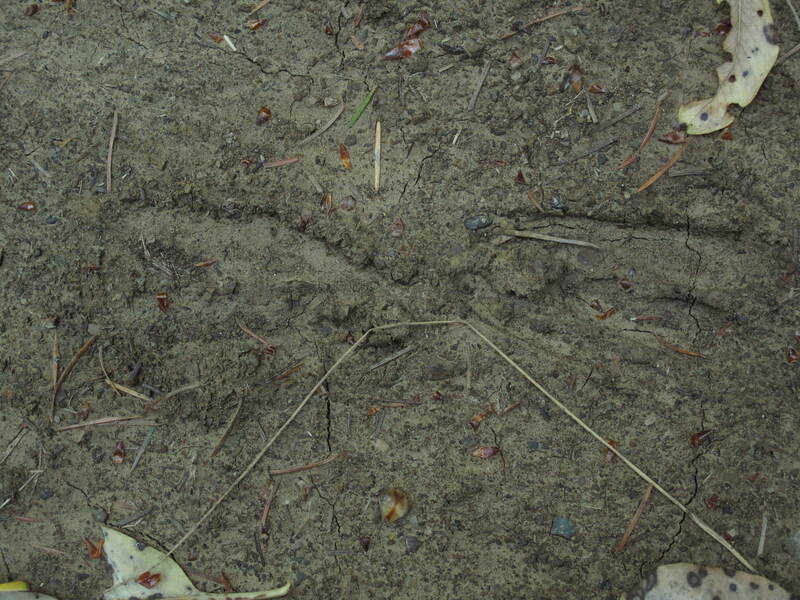 Then tracks in the mud which looked like deer-prints – but maybe from a very small bear? 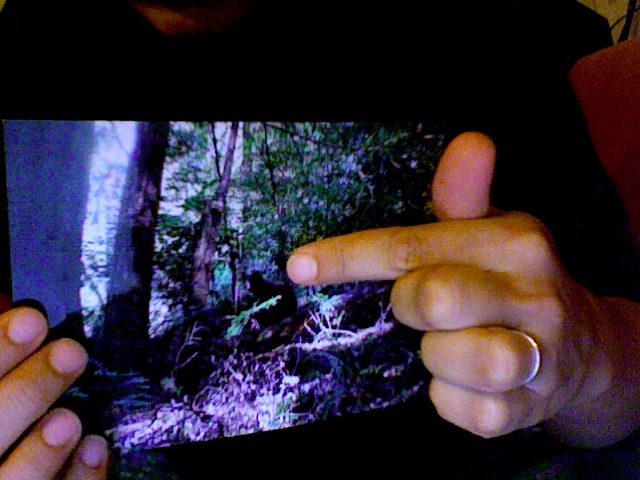 We became hyper-aware of dark shapes in the trees, movement up ahead or in the peripheral vision. That night, I woke up once, immediately wide awake and able to hear every tiny sound with extreme clarity. “Bears,” said my bear-alert brain as twigs crackled and something stirred against the outside of the tent. The next day, we were sure we would see a bear. We saw snakes and eagles; lizards, deer, squirrels. I saw a family of raccoons on the road at night, and a creature which looked – it’s the only way to describe it – like a cross between a rat and a turkey, which I don’t know how to look up. We never saw a bear. As compensation, Andy Andersen (white hair in a ponytail, bear-tooth necklace, knife-belt) who ran the horse-camp where we stayed, gave us photos pulled down from his trailer walls. Come back, he said, you’ll see bears, I guarantee. Why was it so important? We like monsters too, and mostly live without them. You are currently viewing the archives for July, 2011 at Opendor.